Ahead of the maiden 2+2 dialogue, India on Tuesday called upon the US to keep in mind the significance of Indo-US strategic relations + before nursing any thought of imposing sanctions on the Indian government for its decision to purchase S-400 anti-aircraft missile defence system from Russia. While underlining the importance of the dialogue, which will see secretary of state Mike Pompeo and secretary of defence Jim Mattis engaging with foreign minister Sushma Swaraj and defence minister Nirmala Sitharaman Thursday, the government also said there was no question of acting under any compulsion from the US on the issue of energy imports from Iran. "We hope US will not forget the strategic relations it enjoys (with India and other countries). US has to take a call and exercise that waiver (from sanctions) based on considerations of its relationship with each country," official sources here said as they described the 2+2 talks as one of the most important diplomatic events in India this year. 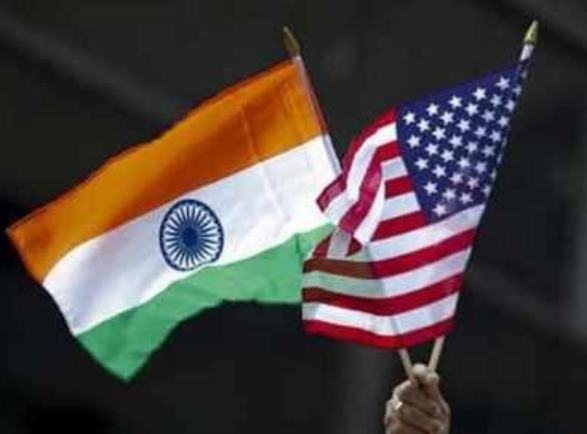 The much delayed dialogue is finally taking place at a time India is grappling with the threat of US sanctions for its oil imports from Iran and the finalisation of $ 6 billion S-400 missile defence system deal with Russia. Both issues are likely to figure prominently in the talks. India has decided to go ahead with the S-400 purchase + despite pressure from the US to shun the deal. In the run up to the September 6 talks, it has also made 3 important points before the Trump administration on its oil imports from Iran which sources here described as a "major relationship in the region" for India. First, India meets almost 83 per cent of its energy requirements from external sources. Twenty-five per cent of this comes in the form of crude from Iran. Second, India has asked US to suggest alternative sources of crude available including the pricing involved. "Third, we have also made the point that some of our refineries are dependent on certain kind of crude oil. However, there is no question of taking any decision on the issue of oil imports under compulsion from either the US or Iran," said a source. Official sources said that while India did not want to see Iran as a nuclear-weapon state, it respected Iran's rights to peaceful uses of nuclear energy. India's position is in line with the 2015 UNSC resolution 2231 which calls for full and timely implementation of Joint Comprehensive Plan of Action (JCPOA) concluded the same year by China, France, Germany, Russia, UK, US, EU and Iran. The government also sought to play down the Quad mechanism with Japan, US and Australia ahead of the talks saying that it should not be seen as some "great strategic game plan" which these countries together had. In terms of India's overall security, said a source, Indo-Pacific was not a mechanism but a concept, an idea that "encapsulates India's future" As far as India was concerned, said the source, Indian Ocean was open and inclusive. Counter-terrorism will also be an important area of focus in the talks with India looking at US for an early designation of terror entities. Sources, however, avoided answering a specific query about whether or not India was pressing the US for a fresh resolution at the UN to ban Pakistan based terror group Jaish-e-Mohammed chief Masood Azhar. Irony (or Irany) that Trump Praises Putin. Modi and Trump praise each other. Yet sanctions over Russia thanks to all that scandal from Russia intervention guys in US.